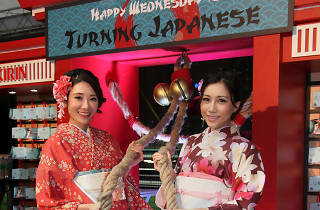 Come in your best kimonos and enjoy the fantastic Japanese food and sake as you catch the races on Wednesday. The Racecourse gets a makeover! Fans can enjoy traditional cultural performances and a wide range of Japanese dishes, complemented by sake and Japanese whisky for the special Japan-themed month at Happy Valley. Also don't miss the Japan Racing Association (JRA) on the final night of the themed series on Nov 23. So come on down to the racecourse and enjoy all the themed fun. And of course, the best racing action in Hong Kong.